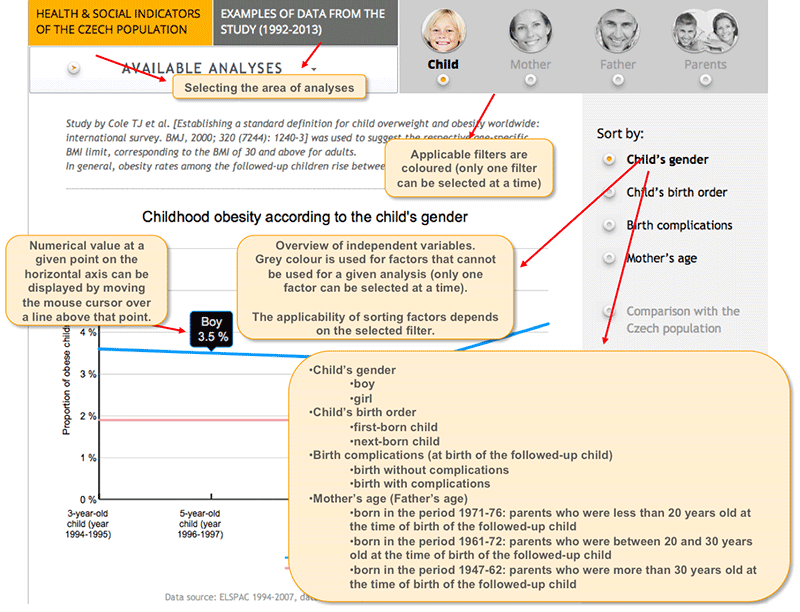 The diagrams show both the mother’s and father’s age at the point of birth of the followed-up child. In most cases, parents were of similar age. In general, fathers were slightly older than mothers. On average, the parents’ age at the point of birth of their first-born child was 4 years lower than at times when their second and next children were born.